BASE FEATURES: Air Conditioner; AM/FM, Bluetooth, XM/Sirius, AUX Jack; Chrome Gauges; Cruise Control; Key-less Entry Remote; Power Locks; Power Mirror (Left); Power Mirror (Right); Power Steering; Power Windows; Rear Bench Seat; Security System; Tilt/Telescopic Steering; Tinted Glass; Trip Odometer. 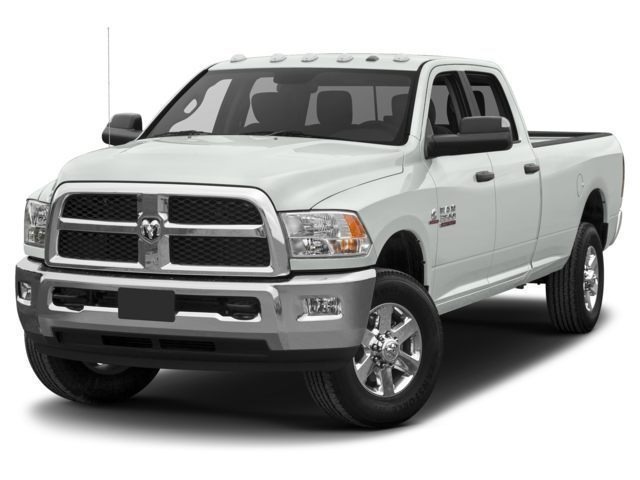 VEHICLE HIGHLIGHTS: RAM 1500 QUAD CAB EXPRESS 4X4, 5.7L HEMI, 395HP and 410 lb-ft Torque, 3.21 Rear Axle Ratio, Wheelbase 140., ABS brakes, GVWR 6800 lbs., Max Towing 10,350 lbs., Payload Capacity 1770 lbs., Bed Length 5.7 ft, Tires LT/275/60R20, Remote Entry, Power Mirrors Driver and Passenger, Steering Wheel Controls, Rear Defrost, Tow Haul Mode, 4x4, Shift on the Fly, 6 Passenger with foldable center armrest and cup holders. DEALER NOTE: Our Mission At Transwest it is our goal to get you on the road and keep you there. Offering sales, parts, service and finance for almost every aspect of the transportation industry ranging from heavy and medium duty trucks and trailers all the way down to cars, SUVs, RVs and everything in between. 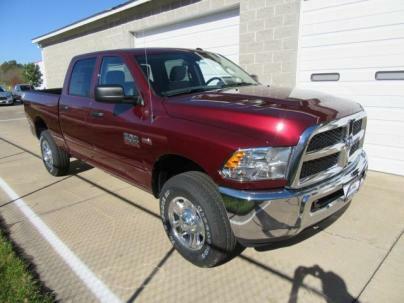 DEALER COMMENTS: OH MY, LOOK AT THIS RAM QUAD CAB, IT HAS SUPER LOW MILES AND IS FLAT OUT GOOD LOOKING. 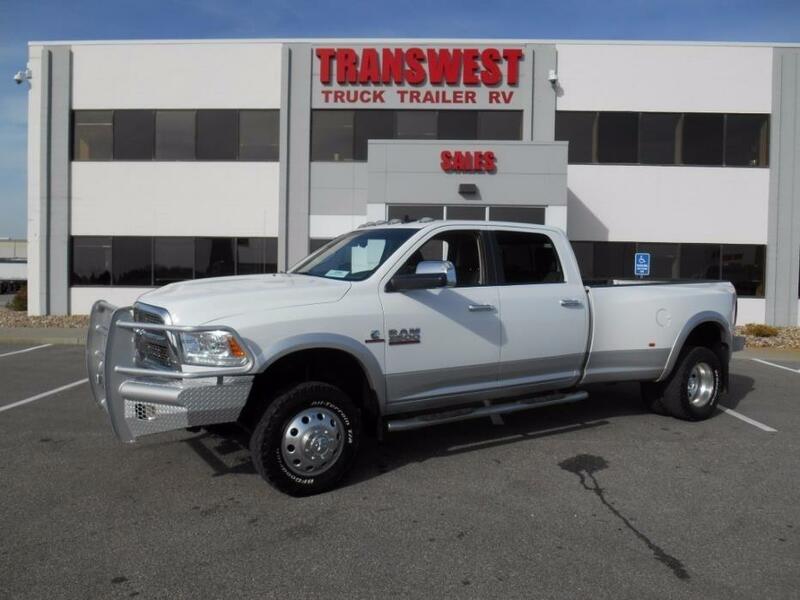 If you are looking to work hard or play hard this 2014 RAM 1500 Express can handle the workload; with 395 hp and 410 Torque this truck has plenty of power when needed. 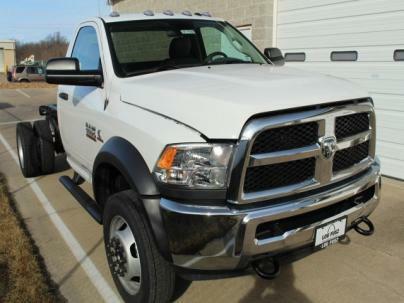 This truck has the remainder factory 3 Year/36,000 mile factory bumper to bumper warranty as well as 5 Year/60,000 mile powertrain Warranty. We have brought up to date all required service work and is ready to go to work and with only 31K Miles it will do the job for a very long time. If you have questions or if you are interested in taking advantage of this amazing opportunity do not hesitate. Please inquire online or give us a call at 816-892-5950. Selling to purchase a Jeep, nothing wrong with this truck! 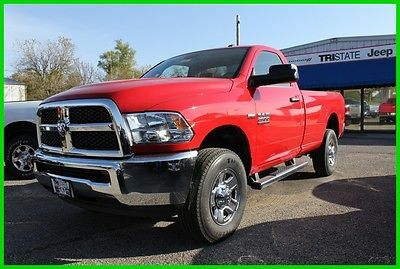 2012 Ram 1500 Sport mode loaded w/options 4x4 Crew Cab (biggest cab option) 5.7L Hemi, Automatic, a little over 63k miles Power everything including rear slider window Uconnect 430 Stereo/DVD with factory Alpine Premium sound system, factory sub under rear seat Dual climate controls Steering wheel audio/stereo controls Tilt steering & cruise control Seating is leather/cloth combination and in good condition Power seating Rear Park assist system (backup sensors) 110v outlet on the dash Traction Control 20" Chrome wheels Storage under rear seat, & in the floor board of each rear seat area Towing Package Rhino lined bed liner Heated power mirrors 6000k HID 55w headlights and foglights Go Rhino 3000 series push bar 20% tinted front 2 windows, 20% on top of the factory rear tint Blacked out badges/emblems Tinted Tail light covers Tinted 3rd Brake light LED reverse bulbs Vent-visors on all 4 windows Flowmaster dual exhaust Engine Block heater Fender Flares 1.5" Wheel Spacers This truck is my daily driver and I really do love it. It gets lots of compliments and looks sharp, but I love Jeep Wranglers more. Everything works as it should and is in good condition. Starting at $27000 with all the aftermarket stuff included. The truck is for sale locally as well, I reserve the right to end the auction early due to local sale. Buyer will be responsible for inspecting vehicle prior to purchase if they would like. Thanks for looking! Tyler (816) 935-1708 2017 S Main Maryville Missouri 64468 ? ? ? ? 2017 RAM 3500 4x4 Regular Cab 140 in. 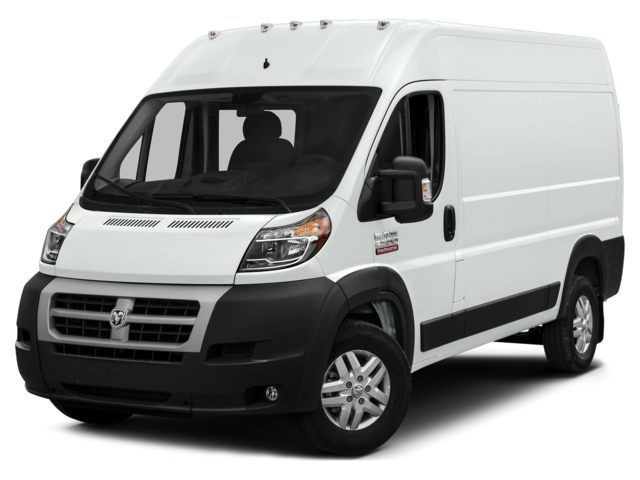 WB Tradesman Vehicle Information VIN: 3C63R3AL3HG545752 Stock: C2367 Mileage: Color: Bright Silver Trans: 6-Speed Manual Engine: I-6 cyl MPG: Drivetrain: 4x4 ? ? ? ? 1 of 17 ? View Large Images ? ? ?Credit Application ?Directions to Dealer ?Contact Us Options and Standard Features Options ? 1-Year Siriusxm Radio Service ? 180 Amp Alternator ? 28 Gallon Fuel Tank ? 3.42 Axle Ratio ? 40/20/40 Split Bench Seat ? 5.0 Touchscreen Display ? 50 State Emissions ? Bright Front Bumper ? Bright Grille ? Bright Rear Bumper ? Bright Wheel Skins ? Carpet Floor Covering ? Chrome Appearance Group ? Chrome Tubular Side Steps ? Clearance Lamps ? Cloth 40/20/40 Bench Seat ? Cold Weather Group ? Cummins Turbo Diesel Badge ? Current Generation Engine Controller ? Delete Carpet ? Delete Floor Mats ? Diesel Exhaust Brake ? Electric Shift-On-The-Fly Transfer Case ? Electronically Controlled Throttle ? Engine Block Heater ? Engine: 6.7L I6 Cummins Turbo Diesel ? Exterior Mirrors Courtesy Lamps ? Exterior Mirrors W/Heating Element ? Exterior Mirrors W/Supplemental Signals ? For More Info ? Call 800-643-2112 ? Front 1-Touch Down Power Windows ? Front Armrest W/Cupholders ? Front Bumper Sight Shields ? Front Floor Mats ? Gps Antenna Input ? Gvwr: 11 ? 500 Lbs ? I/P Mounted Auxiliary Switches ? Integrated Voice Command W/Bluetooth ? Media Hub ? Mini Floor Console ? Overhead Console ? Parkview Rear Back-Up Camera ? Popular Equipment Group ? Power & Remote Entry Group ? Power Black Trailer Tow Mirrors ? Power Locks ? Premium Vinyl Door Trim W/Map Pocket ? Quick Order Package 2Ea Tradesman ? Ram Active Air ? Radio: Uconnect 5.0 ? Rear View Auto Dim Mirror W/Display ? Remote Keyless Entry ? Remote Usb Port - Charge Only ? Selective Catalytic Reduction ? Siriusxm Satellite Radio ? Snow Chief Group ? Spray In Bedliner ? Temperature & Compass Gauge ? Tires: Lt275/70R18e Owl On/Off Road ? Trailer Brake Control ? Transfer Case Skid Plate Shield ? Transmission: 6-Speed Manual G56 ? Wheels: 17 X 6.0 Steel Chrome Clad ? Winter Front Grille Cover Basic Information Stock Number: C2367 VIN Number: 3C63R3AL3HG545752 Style Name: 4X4 Regular Cab 140 In. 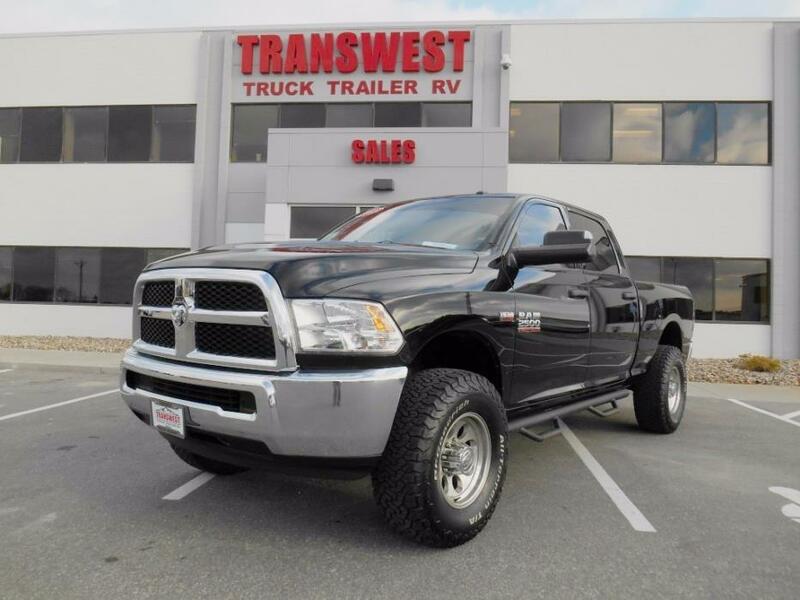 WB Tradesman Make: RAM Model: 3500 Model Year: 2017 Vehicle Type: Pickup Vehicle Trim: Tradesman Interior Color: Diesel Gray/Black Exterior Color: Bright Silver Body Type: Truck Regular Cab Engine Engine Description: I-6 Cyl Fuel Type: Diesel Fuel Induction: Diesel Direct Injection Valves Per Cylinder: 4 Aspiration: Turbocharged DriveTrain 4WD Type : Part-Time Differential Limited Slip: Mechanical Driven Wheels: Four-Wheel Locking Hubs: Auto Transfer Case: Manual Transmission: 6-Speed Manual Wheels Rims: Argent Styled Steel Wheels Spare Rim Type: Steel Drive Train Type: 4X4 Suspension Stabilizer Bar: Front Instrumentation Clock Low Fuel Level Tachometer Roof and Glass Front Wipers: Variable Intermittent Privacy Glass: Light In Car Entertainment Antenna Type: Fixed Audio System: AM/FM/Satellite-Prep Speakers: 6 Seats Seating Capacity: 3 Front Seat Type: Split-Bench Upholstery: Vinyl Convenience Center Console: Partial With Storage Cruise Control Cupholders: Front Door Pockets: Driver And Passenger Power Outlets: 2 Steering Adjustment: Tilt-Adjustable Steering Power: Power Steering Power Mirrors: Manual Comfort Air Conditioning: Manual Dash Trim: Metal-Look Shift Knob: Urethane Steering Wheel Trim: Urethane Features Aux Transmission Cooler: Regular Duty Bumpers: Black Door Reinforcement: Side-Impact Door Beam Engine Hour Meter Vinyl Floor Covering Safety Turning Circle: 41.6 ABS: 4-Wheel Head Airbags: Curtain 1St Row Brake Assist: Braking Assist Engine Immobilizer Headlights Auto Delay: Auto Delay Off Headlights Dusksensor: Dusk Sensing Front Headrests: Manual Adjustable Safety Stability Control Driver and Passenger Airbag Side Airbag Stability Control Door Reinforcement: Side-Impact Door Beam Towing and Hauling Trailer Hitch Doors Rear Door Type: Tailgate Dimensions Front Head Room: 39.9 Inches Front Hip Room: 62.9 Inches Front Shoulder Room: 66.0 Inches Front Leg Room: 41.0 Inches Luggage Capacity: 15 Cu.Ft. Length: 230.4 Inches Width: 79.4 Inches Height: 79.1 Inches Wheelbase: 140.0 Inches Ground Clearance: 8.6 Inches Max Gross Vehicle Weight: 10,300 Lbs. Curb Weight: 6,370 Lbs. ? Apply Now Secure Credit Application Applying for a vehicle loan online is one of the quickest and easiest application methods. Our secure application is easy to complete, all you need are a few personal and employment details. Contact Tri State Auto Family 2017 S Main Maryville Missouri 64468 View Map Ask for:Tyler Contact: ?Contact Us Primary Phone:(816) 935-1708 Terms Placing a Bid: Your bid constitutes a legally binding contract to purchase this vehicle. Please do not bid if you're not seriously interested or financially able to purchase this vehicle. Please read eBay's User AgreementTri State Auto Family reserves the right to, Obtain and verify the registered information of all users who bid on this auction. Cancel any and all bids at our discretion, or end the auction early if necessary.Bidders Age: You must be 18 years of age or older to Bid. Special eBay Bid Retraction Rules: Please read eBay's "Retracting a Bid" If you place a bid before the last 12-hour period of the auction: You may retract that bid before that last 12-hour period but only for exceptional circumstances. You will not be allowed to retract that bid during the last 12-hour period of the auction. If you place a bid during the last 12-hour period of the auction: You will be allowed to retract the bid for exceptional circumstances but only if you do so within one hour after placing the bid.Funds & Financing: For help in arranging for a Pre-Approved loan or for any questions please e-mail or phone Tyler at(816) 935-1708 prior to bidding. Buyers Inspection: Tri State Auto Family has done our best to disclose all information known about this vehicle for auction. Tri State Auto Family welcomes a buyers inspection. If you plan to have a buyers inspection, please make sure you inspect the vehicle prior to the auction ending. Inspection fees if any are Buyers responsibility. Representations and Warranties made by seller: This vehicle is being sold "as is". Manufacturer's warranties may still apply. Extended warranty may be available, e-mail or phone Tyler at (816) 935-1708 for details. No representations or warranties are made by seller, nor are any representations or warranties relied upon by bidders in making bids. Taxes and Registration fees: Out of state buyers are responsible for all state, county, city taxes and fees, as well as title service fees in the state that the vehicle will be registered. All taxes and fees must be paid in full in order for vehicle to be titled and registered. Title Information: Vehicles titles may be held by banks or lenders as collateral for loans. In many cases there is a delay in receiving the original instruments up to 21 days from the time we pay a vehicle off. While we usually have all titles in our possession at closing, there are occasions where we may be waiting for them to arrive. If payment is made by cashier's or personal checks we will hold all titles for 10 days or until funds have cleared. Shipping & Delivery: All shipping charges are buyer's responsibility. Tri State Auto Family will help with shipping arrangements but will not be responsible in any way for claims arising from shipping damage!Licensed Carriers are generally insured for $3,000,000.00. We assume no responsibility for damages incurred after the vehicle leaves our showroom. All shipping arrangements are provided by Tri State Auto Family as a courtesy. We are not affiliated with any carrier. Any claims or other communication regarding shipment of vehicles will be between you and the shipper, not with Tri State Auto Family. The amount of time it takes for delivery is dependent on the carrier, but is generally 7-14 days from the date the vehicle is picked up from our facility until it is delivered to your destination. Verify with the shipper for an Estimate Time of Arrival to be sure. Finalizing your Purchase: Tri State Auto Family will contact the successful high bidder by e-mail after the auction closes. Successful high bidder MUST communicate with Tyler at Tri State Auto Family by e-mail or phone(816) 935-1708 within 24 hours of the auction ending to make arrangements to complete their transaction. If we cannot confirm your intention to buy or the sale is not completed within 5 days, we reserve the right to relist this vehicle or sell to any other qualified buyer. In order to secure bid on vehicle, Successful bidder (BUYER) must within 24 hours of bid closing send to Seller a Deposit in the amount of 10% by major credit card, cash in person or bank certified funds. Within 72 hours of bid closing, Buyer must send balance of funds by cash in person or bank certified funds to Seller. At time of sending initial deposit, Buyer MUST fax copy of their State issued valid Driver License. Furthermore, before said vehicle is released for shipment to Buyer, all other Sale related and title related paperwork must be signed and returned complete to Seller. Copyright © 2017 Auction123 - All rights reserved. - Disclaimer +- Auction123 (a service and listing/software company) and the Seller has done his/her best to disclose the equipment/condition of this vehicle/purchase. However, Auction123 disclaims any warranty as to the accuracy or to the working condition of the vehicle/equipment listed. The purchaser or prospective purchaser should verify with the Seller the accuracy of all the information listed within this ad. Selling a Vehicle? Create Professional Listings Fast and Easy. Click Here! Tyler (816) 935-1708 2017 S Main Maryville Missouri 64468 ? ? ? ? 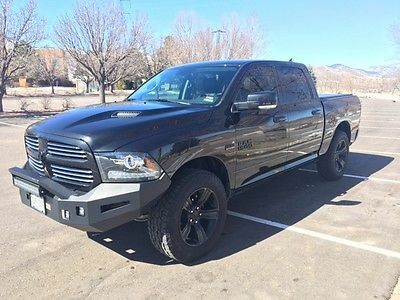 2017 RAM 2500 4x4 Regular Cab 140.5 in. WB Tradesman Vehicle Information VIN: 3C6MR5AJXHG532026 Stock: C2357 Mileage: Color: Flame Red Trans: 6 speed automatic Engine: V-8 cyl MPG: Drivetrain: 4x4 ? ? ? ? 1 of 25 ? View Large Images ? ? ?Credit Application ?Directions to Dealer ?Contact Us Options and Standard Features Options ? 1-Yr Siriusxm Radio Service ? 11.50 Rear Axle ? 18 Steel Spare Wheel ? 180 Amp Alternator ? 3.73 Axle Ratio ? 40/20/40 Split Bench Seat ? 50 State Emissions ? Black Exterior Mirrors ? Bright Front Bumper ? Bright Grille ? Bright Rear Bumper ? Carpet Floor Covering ? Chrome Appearance Group ? Chrome Tubular Side Steps ? Cloth 40/20/40 Bench Seat ? Delete Carpet ? Delete Floor Mats ? Electric Shift-On-The-Fly Transfer Case ? Electronically Controlled Throttle ? Engine Block Heater ? Engine: 6.4L Hd V8 Hemi W/Mds ? Exterior Mirrors Courtesy Lamps ? Exterior Mirrors W/Heating Element ? Exterior Mirrors W/Supplemental Signals ? Fold-Away Power Heated Mirrors ? For More Info ? Call 800-643-2112 ? Front Armrest W/Cupholders ? Front Floor Mats ? Gvwr: 10 ? 000 Lbs ? Hemi Badge ? Next Generation Engine Controller ? Parkview Rear Back-Up Camera ? Popular Equipment Group ? Power & Remote Entry Group ? Power Black Trailer Tow Mirrors ? Power Locks ? Power Windows W/Front 1-Touch Down ? Premium Vinyl Door Trim W/Map Pocket ? Quick Order Package 22A Tradesman ? Rear View Auto Dim Mirror W/Display ? Remote Keyless Entry ? Siriusxm Satellite Radio ? Tires: Lt275/70R18e Bsw As ? Trailer Brake Control ? Trailer Tow Mirrors ? Transmission: 6-Speed Automatic ? Wheels: 18 X 8.0 Steel Chrome Clad Basic Information Stock Number: C2357 VIN Number: 3C6MR5AJXHG532026 Style Name: 4X4 Regular Cab 140.5 In. 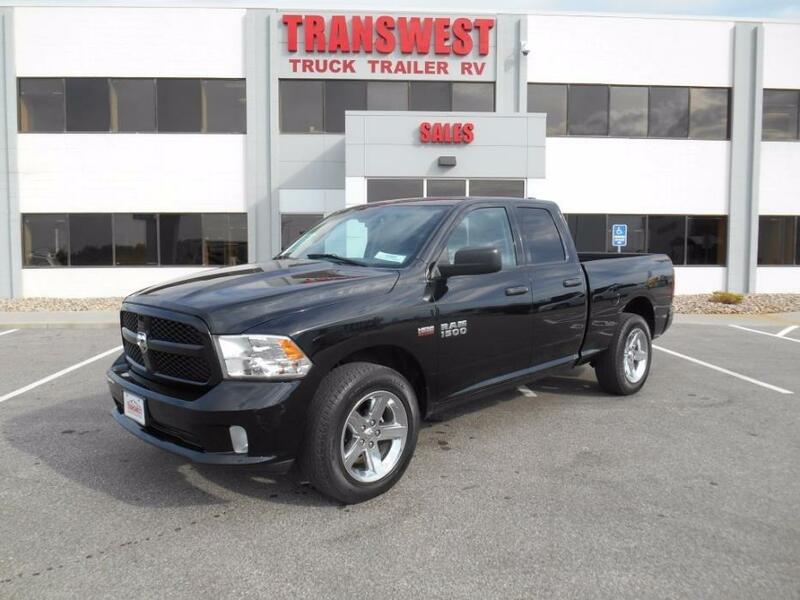 WB Tradesman Make: RAM Model: 2500 Model Year: 2017 Vehicle Type: Pickup Vehicle Trim: Tradesman Interior Color: Diesel Gray/Black Exterior Color: Flame Red Body Type: Truck Regular Cab Engine Engine Description: V-8 Cyl Fuel Type: Gas Fuel Induction: Sequential MPI Valves Per Cylinder: 2 Aspiration: Normal DriveTrain 4WD Type : Part-Time Driven Wheels: Four-Wheel Locking Hubs: Auto Transfer Case: Manual Transmission: 6 Speed Automatic Wheels Rims: Silver Styled Steel Wheels Spare Rim Type: Steel Drive Train Type: 4X4 Suspension Stabilizer Bar: Front Instrumentation Clock Low Fuel Level Tachometer Roof and Glass Front Wipers: Variable Intermittent Privacy Glass: Light In Car Entertainment Antenna Type: Fixed Audio System: AM/FM/Satellite-Prep Speakers: 6 Seats Seating Capacity: 3 Front Seat Type: Split-Bench Upholstery: Vinyl Convenience Center Console: Partial With Storage Cruise Control Cupholders: Front Door Pockets: Driver And Passenger Power Outlets: 2 Steering Adjustment: Tilt-Adjustable Steering Power: Power Steering Power Mirrors: Manual Comfort Air Conditioning: Manual Dash Trim: Metal-Look Shift Knob: Urethane Steering Wheel Trim: Urethane Features Aux Transmission Cooler: Regular Duty Bumpers: Black Door Reinforcement: Side-Impact Door Beam Engine Hour Meter Vinyl Floor Covering Safety Turning Circle: 41.6 ABS: 4-Wheel Head Airbags: Curtain 1St Row Brake Assist: Braking Assist Engine Immobilizer Headlights Auto Delay: Auto Delay Off Headlights Dusksensor: Dusk Sensing Front Headrests: Manual Adjustable Safety Stability Control Driver and Passenger Airbag Side Airbag Stability Control Door Reinforcement: Side-Impact Door Beam Towing and Hauling Trailer Hitch Doors Rear Door Type: Tailgate Dimensions Front Head Room: 39.9 Inches Front Hip Room: 62.9 Inches Front Shoulder Room: 66.0 Inches Front Leg Room: 41.0 Inches Luggage Capacity: 15 Cu.Ft. Length: 230.4 Inches Width: 79.4 Inches Height: 78.1 Inches Wheelbase: 140.5 Inches Ground Clearance: 7.4 Inches Max Gross Vehicle Weight: 9,000 Lbs. Curb Weight: 6,321 Lbs. ? Apply Now Secure Credit Application Applying for a vehicle loan online is one of the quickest and easiest application methods. Our secure application is easy to complete, all you need are a few personal and employment details. Contact Tri State Auto Family 2017 S Main Maryville Missouri 64468 View Map Ask for:Tyler Contact: ?Contact Us Primary Phone:(816) 935-1708 Terms Placing a Bid: Your bid constitutes a legally binding contract to purchase this vehicle. Please do not bid if you're not seriously interested or financially able to purchase this vehicle. Please read eBay's User AgreementTri State Auto Family reserves the right to, Obtain and verify the registered information of all users who bid on this auction. Cancel any and all bids at our discretion, or end the auction early if necessary.Bidders Age: You must be 18 years of age or older to Bid. Special eBay Bid Retraction Rules: Please read eBay's "Retracting a Bid" If you place a bid before the last 12-hour period of the auction: You may retract that bid before that last 12-hour period but only for exceptional circumstances. You will not be allowed to retract that bid during the last 12-hour period of the auction. If you place a bid during the last 12-hour period of the auction: You will be allowed to retract the bid for exceptional circumstances but only if you do so within one hour after placing the bid.Funds & Financing: For help in arranging for a Pre-Approved loan or for any questions please e-mail or phone Tyler at(816) 935-1708 prior to bidding. Buyers Inspection: Tri State Auto Family has done our best to disclose all information known about this vehicle for auction. Tri State Auto Family welcomes a buyers inspection. If you plan to have a buyers inspection, please make sure you inspect the vehicle prior to the auction ending. Inspection fees if any are Buyers responsibility. Representations and Warranties made by seller: This vehicle is being sold "as is". Manufacturer's warranties may still apply. Extended warranty may be available, e-mail or phone Tyler at (816) 935-1708 for details. No representations or warranties are made by seller, nor are any representations or warranties relied upon by bidders in making bids. Taxes and Registration fees: Out of state buyers are responsible for all state, county, city taxes and fees, as well as title service fees in the state that the vehicle will be registered. All taxes and fees must be paid in full in order for vehicle to be titled and registered. Title Information: Vehicles titles may be held by banks or lenders as collateral for loans. In many cases there is a delay in receiving the original instruments up to 21 days from the time we pay a vehicle off. While we usually have all titles in our possession at closing, there are occasions where we may be waiting for them to arrive. If payment is made by cashier's or personal checks we will hold all titles for 10 days or until funds have cleared. Shipping & Delivery: All shipping charges are buyer's responsibility. Tri State Auto Family will help with shipping arrangements but will not be responsible in any way for claims arising from shipping damage!Licensed Carriers are generally insured for $3,000,000.00. We assume no responsibility for damages incurred after the vehicle leaves our showroom. All shipping arrangements are provided by Tri State Auto Family as a courtesy. We are not affiliated with any carrier. Any claims or other communication regarding shipment of vehicles will be between you and the shipper, not with Tri State Auto Family. The amount of time it takes for delivery is dependent on the carrier, but is generally 7-14 days from the date the vehicle is picked up from our facility until it is delivered to your destination. Verify with the shipper for an Estimate Time of Arrival to be sure. Finalizing your Purchase: Tri State Auto Family will contact the successful high bidder by e-mail after the auction closes. Successful high bidder MUST communicate with Tyler at Tri State Auto Family by e-mail or phone(816) 935-1708 within 24 hours of the auction ending to make arrangements to complete their transaction. If we cannot confirm your intention to buy or the sale is not completed within 5 days, we reserve the right to relist this vehicle or sell to any other qualified buyer. In order to secure bid on vehicle, Successful bidder (BUYER) must within 24 hours of bid closing send to Seller a Deposit in the amount of 10% by major credit card, cash in person or bank certified funds. Within 72 hours of bid closing, Buyer must send balance of funds by cash in person or bank certified funds to Seller. At time of sending initial deposit, Buyer MUST fax copy of their State issued valid Driver License. Furthermore, before said vehicle is released for shipment to Buyer, all other Sale related and title related paperwork must be signed and returned complete to Seller. Copyright © 2017 Auction123 - All rights reserved. - Disclaimer +- Auction123 (a service and listing/software company) and the Seller has done his/her best to disclose the equipment/condition of this vehicle/purchase. However, Auction123 disclaims any warranty as to the accuracy or to the working condition of the vehicle/equipment listed. The purchaser or prospective purchaser should verify with the Seller the accuracy of all the information listed within this ad. Selling a Vehicle? Create Professional Listings Fast and Easy. Click Here! Tyler (816) 935-1708 2017 S Main Maryville Missouri 64468 ? ? ? ? 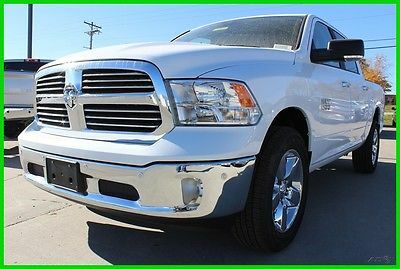 2017 RAM 1500 4x4 Crew Cab 140 in. WB Sport Vehicle Information VIN: 1C6RR7MT5HS557441 Stock: C2385 Mileage: Color: Ignition Orange Trans: 8 speed automatic Engine: V-8 cyl MPG: 15 City / 21 Highway Drivetrain: 4x4 ? ? ? ? 1 of 31 ? View Large Images ? ? ?Credit Application ?Directions to Dealer ?Contact Us Options and Standard Features Options ? 1 Yr. Trial ? 3.92 Rear Axle Ratio ? 32 Gallon Fuel Tank ? 4X4 Flat Black Badge ? 5-Year Siriusxm Traffic Service ? 5-Year Siriusxm Travel Link Service ? 50 State Emissions ? 8.4 Touchscreen Display ? 9 Alpine Speakers W/Subwoofer ? Active Grille Shutters ? Anti-Spin Differential Rear Axle ? Audio Jack Input For Mobile Devices ? Auto High Beam Headlamp Control ? Black Ram Head Tailgate Badge ? Body Color/Bright Billets Grille ? Bright Rotary Shifter ? Bucket Seats ? Center Hub ? Class Iv Receiver Hitch ? Convenience Group ? Deluxe Cloth High-Back Bucket Seats ? Electronic Shift ? Electronically Controlled Throttle ? Engine Oil Heat Exchanger ? Engine: 5.7L V8 Hemi Mds Vvt ? 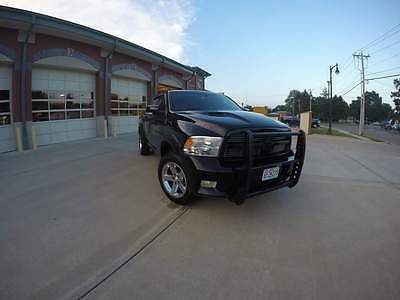 Flat Black 5.7L Hemi Badge ? Flat Black Ram 1500 Badge ? Folding Flat Load Floor Storage ? Full Length Upgraded Floor Console ? Full Size Temporary Use Spare Tire ? Gps Antenna Input ? Gps Navigation ? Hd Radio ? Heated Seats & Wheel Group ? Heavy Duty Engine Cooling ? High Back Seats ? Ignition Orange Sport Package ? Integrated Voice Command W/Bluetooth ? Keyless Go ? Mopar Sport Performance Hood Decal ? Media Hub ? Next Generation Engine Controller ? Parksense Front/Rear Park Assist System ? Power Lumbar Adjust ? Premium Sound Group ? Quick Order Package 26L Sport ? Radio: Uconnect 8.4 Nav ? Rain Sensitive Windshield Wipers ? Rear 60/40 Split Folding Seat ? Rear Window Defroster ? Remote Proximity Keyless Entry ? Remote Usb Port ? Siriusxm Satellite Radio ? Siriusxm Traffic ? Siriusxm Travel Link ? Sport Performance Hood ? Tip Start ? Tires: P275/60R20 Owl As ? Transmission: 8-Speed Automatic ? Uconnect Access ? Uconnect Access 1 Year Trial ? Wheels: 20 X 9 Polished Aluminum ? Wheels: 20 X 9 Semi-Gloss Black Aluminum Basic Information Stock Number: C2385 VIN Number: 1C6RR7MT5HS557441 Style Name: 4X4 Crew Cab 140 In. 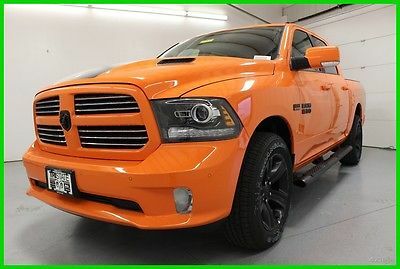 WB Sport Make: RAM Model: 1500 Model Year: 2017 Vehicle Type: Pickup Vehicle Trim: Sport Interior Color: Orange/TA Black Exterior Color: Ignition Orange Body Type: Truck Crew Cab Engine MPG Automatic City: 15 MPG Automatic Highway: 21 Engine Description: V-8 Cyl Fuel Type: Gas Fuel Induction: Sequential MPI Valves Per Cylinder: 2 Aspiration: Normal DriveTrain 4WD Type : Part And Full-Time Driven Wheels: Four-Wheel Locking Hubs: Auto Transfer Case: Electronic Transmission: 8 Speed Automatic Wheels Rims: Polished Aluminum Wheels Spare Rim Type: Aluminum Drive Train Type: 4X4 Suspension Independent Suspension: Front Stabilizer Bar: Front And Rear Instrumentation Clock Compass External Temp Low Fuel Level Tachometer Trip Computer Roof and Glass Front Wipers: Variable Intermittent Privacy Glass: Deep In Car Entertainment Antenna Type: Fixed Audio System: AM/FM/Satellite Speakers: 6 Seats Drivers: Multi-Level Heating Drivers Height: Power Drivers Lumbar: Power 2-Way Drivers Power: 8 Passenger: Multi-Level Heating Seating Capacity: 5 Front Seat Type: Bucket Upholstery: Cloth Center Armrest Folding: Fold-Up Cushion Convenience Adjustable Pedals: Power Center Console: Full With Covered Storage Cruise Control Cupholders: Front And Rear Door Pockets: Driver, Passenger And Rear Overhead Console: Mini Power Outlets: 3 Steering Adjustment: Tilt-Adjustable Steering Power: Electric Power Steering Universal Remote Transmitter Auto Dimming Mirrors: Electrochromatic, Driver Only Power Mirrors: Power Remote Power Retractable Mirrors Power Door Locks Windows: Power Windows Satellite Communication: Uconnect Access Comfort Air Conditioning: Automatic Dash Trim: Metal-Look Mats: Carpet Front And Rear Reading Lights: Front Shift Knob: Urethane Steering Wheel Trim: Leather Vanity Mirrors: Dual Illuminated Vanity Mirrors Features Aux Engine Cooler: HD Aux Transmission Cooler: HD Bumpers: Body-Colored Door Reinforcement: Side-Impact Door Beam Engine Hour Meter Safety Turning Circle: 45.4 ABS: 4-Wheel Head Airbags: Curtain 1St And 2Nd Row Brake Assist: Braking Assist Safety Locks: Manual Engine Immobilizer Headlights Auto Delay: Auto Delay Off Headlights Dusksensor: Dusk Sensing Front Headrests: Manual Adjustable Rear Headrests: 3 Rear Center Seatbelt: 3-Point Belt Safety Signal Mirrors: Turn Signal In Mirrors Safety Stability Control Driver and Passenger Airbag Side Airbag Stability Control Door Reinforcement: Side-Impact Door Beam Doors Liftgate Window: Power Rear Door Type: Tailgate Side Door Type: Conventional Dimensions Front Head Room: 41.0 Inches Front Hip Room: 63.2 Inches Front Shoulder Room: 66.0 Inches Front Leg Room: 41.0 Inches Rear Head Room: 39.9 Inches Rear Hip Room: 63.2 Inches Rear Leg Room: 40.3 Inches Rear Shoulder Room: 65.7 Inches Length: 229.0 Inches Width: 79.4 Inches Height: 78.1 Inches Wheelbase: 140.0 Inches Ground Clearance: 9.2 Inches Max Gross Vehicle Weight: 6,900 Lbs. Curb Weight: 5,501 Lbs. ? Apply Now Secure Credit Application Applying for a vehicle loan online is one of the quickest and easiest application methods. Our secure application is easy to complete, all you need are a few personal and employment details. 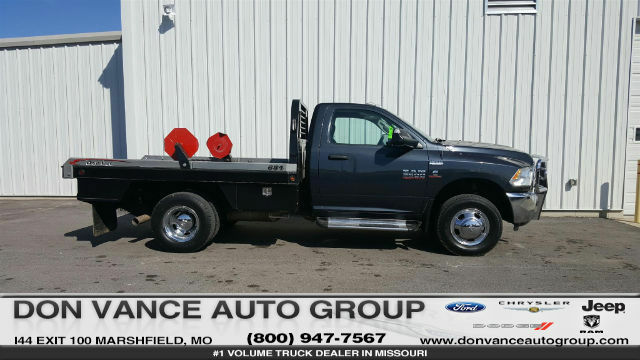 Contact Tri State Auto Family 2017 S Main Maryville Missouri 64468 View Map Ask for:Tyler Contact: ?Contact Us Primary Phone:(816) 935-1708 Terms Placing a Bid: Your bid constitutes a legally binding contract to purchase this vehicle. Please do not bid if you're not seriously interested or financially able to purchase this vehicle. Please read eBay's User AgreementTri State Auto Family reserves the right to, Obtain and verify the registered information of all users who bid on this auction. Cancel any and all bids at our discretion, or end the auction early if necessary.Bidders Age: You must be 18 years of age or older to Bid. Special eBay Bid Retraction Rules: Please read eBay's "Retracting a Bid" If you place a bid before the last 12-hour period of the auction: You may retract that bid before that last 12-hour period but only for exceptional circumstances. You will not be allowed to retract that bid during the last 12-hour period of the auction. If you place a bid during the last 12-hour period of the auction: You will be allowed to retract the bid for exceptional circumstances but only if you do so within one hour after placing the bid.Funds & Financing: For help in arranging for a Pre-Approved loan or for any questions please e-mail or phone Tyler at(816) 935-1708 prior to bidding. Buyers Inspection: Tri State Auto Family has done our best to disclose all information known about this vehicle for auction. Tri State Auto Family welcomes a buyers inspection. If you plan to have a buyers inspection, please make sure you inspect the vehicle prior to the auction ending. Inspection fees if any are Buyers responsibility. Representations and Warranties made by seller: This vehicle is being sold "as is". Manufacturer's warranties may still apply. Extended warranty may be available, e-mail or phone Tyler at (816) 935-1708 for details. No representations or warranties are made by seller, nor are any representations or warranties relied upon by bidders in making bids. Taxes and Registration fees: Out of state buyers are responsible for all state, county, city taxes and fees, as well as title service fees in the state that the vehicle will be registered. All taxes and fees must be paid in full in order for vehicle to be titled and registered. Title Information: Vehicles titles may be held by banks or lenders as collateral for loans. In many cases there is a delay in receiving the original instruments up to 21 days from the time we pay a vehicle off. While we usually have all titles in our possession at closing, there are occasions where we may be waiting for them to arrive. If payment is made by cashier's or personal checks we will hold all titles for 10 days or until funds have cleared. Shipping & Delivery: All shipping charges are buyer's responsibility. Tri State Auto Family will help with shipping arrangements but will not be responsible in any way for claims arising from shipping damage!Licensed Carriers are generally insured for $3,000,000.00. We assume no responsibility for damages incurred after the vehicle leaves our showroom. All shipping arrangements are provided by Tri State Auto Family as a courtesy. We are not affiliated with any carrier. Any claims or other communication regarding shipment of vehicles will be between you and the shipper, not with Tri State Auto Family. The amount of time it takes for delivery is dependent on the carrier, but is generally 7-14 days from the date the vehicle is picked up from our facility until it is delivered to your destination. Verify with the shipper for an Estimate Time of Arrival to be sure. Finalizing your Purchase: Tri State Auto Family will contact the successful high bidder by e-mail after the auction closes. Successful high bidder MUST communicate with Tyler at Tri State Auto Family by e-mail or phone(816) 935-1708 within 24 hours of the auction ending to make arrangements to complete their transaction. If we cannot confirm your intention to buy or the sale is not completed within 5 days, we reserve the right to relist this vehicle or sell to any other qualified buyer. In order to secure bid on vehicle, Successful bidder (BUYER) must within 24 hours of bid closing send to Seller a Deposit in the amount of 10% by major credit card, cash in person or bank certified funds. Within 72 hours of bid closing, Buyer must send balance of funds by cash in person or bank certified funds to Seller. At time of sending initial deposit, Buyer MUST fax copy of their State issued valid Driver License. Furthermore, before said vehicle is released for shipment to Buyer, all other Sale related and title related paperwork must be signed and returned complete to Seller. Copyright © 2017 Auction123 - All rights reserved. - Disclaimer +- Auction123 (a service and listing/software company) and the Seller has done his/her best to disclose the equipment/condition of this vehicle/purchase. However, Auction123 disclaims any warranty as to the accuracy or to the working condition of the vehicle/equipment listed. The purchaser or prospective purchaser should verify with the Seller the accuracy of all the information listed within this ad. Selling a Vehicle? Create Professional Listings Fast and Easy. Click Here! Tyler (816) 935-1708 2017 S Main Maryville Missouri 64468 ? ? ? ? 2017 RAM 1500 4x4 Crew Cab 140 in. 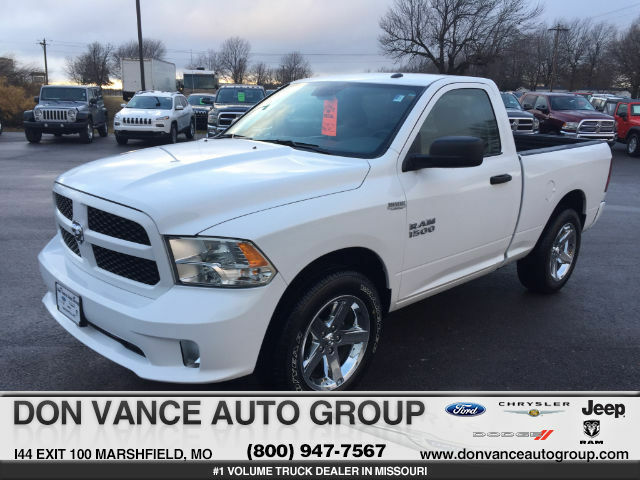 WB SLT Vehicle Information VIN: 1C6RR7LG7HS584242 Stock: C2386 Mileage: Color: Bright White Trans: 8 speed automatic Engine: V-6 cyl MPG: 16 City / 23 Highway Drivetrain: 4x4 ? ? ? ? 1 of 29 ? View Large Images ? ? ?Credit Application ?Directions to Dealer ?Contact Us Options and Standard Features Options ? 115V Auxiliary Power Outlet ? 40/20/40 Split Bench Seat ? 50 State Emissions ? 6 Month Trial ? 8.4 Touchscreen Display ? Air Conditioning Atc W/Dual Zone Control ? Anti-Spin Differential Rear Axle ? Auto Dim Exterior Mirrors ? Big Horn Badge ? Big Horn Regional Package ? Bright/Bright Billets Grille ? Charge Only Remote Usb Port ? Class Iv Receiver Hitch ? Electric Shift On Demand Transfer Case ? Electroluminescent Instrument Cluster ? Engine: 3.6L V6 24V Vvt ? Exterior Mirrors Courtesy Lamps ? Exterior Mirrors W/Supplemental Signals ? Fog Lamps ? Folding Flat Load Floor Storage ? For Details Visit Driveuconnect.Com ? Front Armrest W/3 Cupholders ? Front Center Seat Cushion Storage ? Full Size Temporary Use Spare Tire ? Gps Antenna Input ? Glove Box Lamp ? Integrated Voice Command W/Bluetooth ? Led Bed Lighting ? Leather Wrapped Steering Wheel ? Media Hub ? Nav-Capable! See Dealer For Details ? Overhead Console W/Garage Dr Opener ? Parksense Front/Rear Park Assist System ? Parkview Rear Back-Up Camera ? Power 10-Way Driver Seat ? Power Heated Fold-Away Mirrors ? Power Lumbar Adjust ? Power-Folding Mirrors ? Premium Cloth 40/20/40 Bench Seat ? Quick Order Package 22S Big Horn ? Radio: Uconnect 8.4 ? Rear 60/40 Split Folding Seat ? Rear Dome W/On/Off Switch Lamp ? Rear View Auto Dim Mirror ? Remote Start System ? Siriusxm Satellite Radio ? Security Alarm ? Steering Wheel Mounted Audio Controls ? Storage Tray ? Sun Visors W/Illuminated Vanity Mirrors ? Tires: P275/60R20 Bsw As ? Transmission: 8-Speed Automatic ? Uconnect Access ? Underhood Lamp ? Universal Garage Door Opener ? Wheels: 20 X 8 Aluminum Chrome Clad Basic Information Stock Number: C2386 VIN Number: 1C6RR7LG7HS584242 Style Name: 4X4 Crew Cab 140 In. 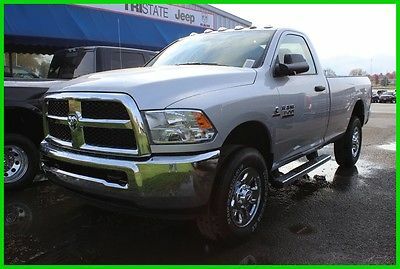 WB SLT Make: RAM Model: 1500 Model Year: 2017 Vehicle Type: Pickup Vehicle Trim: Big Horn Interior Color: Diesel Gray/Black Exterior Color: Bright White Body Type: Truck Crew Cab Engine MPG Automatic City: 16 MPG Automatic Highway: 23 Engine Description: V-6 Cyl Fuel Type: Flexible Fuel Fuel Induction: Sequential MPI Valves Per Cylinder: 4 Aspiration: Normal DriveTrain 4WD Type : Part-Time Driven Wheels: Four-Wheel Locking Hubs: Auto Transfer Case: Electronic Transmission: 8 Speed Automatic Wheels Rims: Silver Aluminum Wheels Spare Rim Type: Aluminum Drive Train Type: 4X4 Suspension Independent Suspension: Front Stabilizer Bar: Front And Rear Instrumentation Clock Compass External Temp Low Fuel Level Tachometer Trip Computer Roof and Glass Front Wipers: Variable Intermittent Privacy Glass: Deep In Car Entertainment Antenna Type: Fixed Audio System: AM/FM/Satellite Speakers: 6 Seats Seating Capacity: 6 Front Seat Type: Split-Bench Upholstery: Cloth Center Armrest Folding: Fold-Up Cushion Convenience Cruise Control Cupholders: Front And Rear Door Pockets: Driver, Passenger And Rear Overhead Console: Mini Power Outlets: 2 Steering Adjustment: Tilt-Adjustable Steering Power: Electric Power Steering Power Mirrors: Power Remote Power Door Locks Windows: Power Windows Comfort Air Conditioning: Manual Dash Trim: Metal-Look Door Trim: Metal-Look Mats: Carpet Front And Rear Reading Lights: Front Shift Knob: Urethane Steering Wheel Trim: Urethane Vanity Mirrors: Passenger Vanity Mirrors Features Aux Engine Cooler: Regular Duty Aux Transmission Cooler: Regular Duty Bumpers: Chrome Door Reinforcement: Side-Impact Door Beam Engine Hour Meter Safety Turning Circle: 45.4 ABS: 4-Wheel Head Airbags: Curtain 1St And 2Nd Row Brake Assist: Braking Assist Safety Locks: Manual Engine Immobilizer Headlights Auto Delay: Auto Delay Off Headlights Dusksensor: Dusk Sensing Front Headrests: Manual Adjustable Rear Headrests: 3 Rear Center Seatbelt: 3-Point Belt Safety Stability Control Driver and Passenger Airbag Side Airbag Stability Control Door Reinforcement: Side-Impact Door Beam Doors Liftgate Window: Power Rear Door Type: Tailgate Side Door Type: Conventional Dimensions Front Head Room: 41.0 Inches Front Hip Room: 63.2 Inches Front Shoulder Room: 66.0 Inches Front Leg Room: 41.0 Inches Rear Head Room: 39.9 Inches Rear Hip Room: 63.2 Inches Rear Leg Room: 40.3 Inches Rear Shoulder Room: 65.7 Inches Length: 229.0 Inches Width: 79.4 Inches Height: 77.5 Inches Wheelbase: 140.0 Inches Ground Clearance: 8.6 Inches Max Gross Vehicle Weight: 6,800 Lbs. Curb Weight: 5,167 Lbs. ? Apply Now Secure Credit Application Applying for a vehicle loan online is one of the quickest and easiest application methods. Our secure application is easy to complete, all you need are a few personal and employment details. Contact Tri State Auto Family 2017 S Main Maryville Missouri 64468 View Map Ask for:Tyler Contact: ?Contact Us Primary Phone:(816) 935-1708 Terms Placing a Bid: Your bid constitutes a legally binding contract to purchase this vehicle. Please do not bid if you're not seriously interested or financially able to purchase this vehicle. Please read eBay's User AgreementTri State Auto Family reserves the right to, Obtain and verify the registered information of all users who bid on this auction. Cancel any and all bids at our discretion, or end the auction early if necessary.Bidders Age: You must be 18 years of age or older to Bid. Special eBay Bid Retraction Rules: Please read eBay's "Retracting a Bid" If you place a bid before the last 12-hour period of the auction: You may retract that bid before that last 12-hour period but only for exceptional circumstances. You will not be allowed to retract that bid during the last 12-hour period of the auction. If you place a bid during the last 12-hour period of the auction: You will be allowed to retract the bid for exceptional circumstances but only if you do so within one hour after placing the bid.Funds & Financing: For help in arranging for a Pre-Approved loan or for any questions please e-mail or phone Tyler at(816) 935-1708 prior to bidding. Buyers Inspection: Tri State Auto Family has done our best to disclose all information known about this vehicle for auction. Tri State Auto Family welcomes a buyers inspection. If you plan to have a buyers inspection, please make sure you inspect the vehicle prior to the auction ending. Inspection fees if any are Buyers responsibility. Representations and Warranties made by seller: This vehicle is being sold "as is". Manufacturer's warranties may still apply. Extended warranty may be available, e-mail or phone Tyler at (816) 935-1708 for details. No representations or warranties are made by seller, nor are any representations or warranties relied upon by bidders in making bids. Taxes and Registration fees: Out of state buyers are responsible for all state, county, city taxes and fees, as well as title service fees in the state that the vehicle will be registered. All taxes and fees must be paid in full in order for vehicle to be titled and registered. Title Information: Vehicles titles may be held by banks or lenders as collateral for loans. In many cases there is a delay in receiving the original instruments up to 21 days from the time we pay a vehicle off. While we usually have all titles in our possession at closing, there are occasions where we may be waiting for them to arrive. If payment is made by cashier's or personal checks we will hold all titles for 10 days or until funds have cleared. Shipping & Delivery: All shipping charges are buyer's responsibility. Tri State Auto Family will help with shipping arrangements but will not be responsible in any way for claims arising from shipping damage!Licensed Carriers are generally insured for $3,000,000.00. We assume no responsibility for damages incurred after the vehicle leaves our showroom. All shipping arrangements are provided by Tri State Auto Family as a courtesy. We are not affiliated with any carrier. Any claims or other communication regarding shipment of vehicles will be between you and the shipper, not with Tri State Auto Family. The amount of time it takes for delivery is dependent on the carrier, but is generally 7-14 days from the date the vehicle is picked up from our facility until it is delivered to your destination. Verify with the shipper for an Estimate Time of Arrival to be sure. Finalizing your Purchase: Tri State Auto Family will contact the successful high bidder by e-mail after the auction closes. Successful high bidder MUST communicate with Tyler at Tri State Auto Family by e-mail or phone(816) 935-1708 within 24 hours of the auction ending to make arrangements to complete their transaction. If we cannot confirm your intention to buy or the sale is not completed within 5 days, we reserve the right to relist this vehicle or sell to any other qualified buyer. In order to secure bid on vehicle, Successful bidder (BUYER) must within 24 hours of bid closing send to Seller a Deposit in the amount of 10% by major credit card, cash in person or bank certified funds. Within 72 hours of bid closing, Buyer must send balance of funds by cash in person or bank certified funds to Seller. At time of sending initial deposit, Buyer MUST fax copy of their State issued valid Driver License. Furthermore, before said vehicle is released for shipment to Buyer, all other Sale related and title related paperwork must be signed and returned complete to Seller. Copyright © 2017 Auction123 - All rights reserved. - Disclaimer +- Auction123 (a service and listing/software company) and the Seller has done his/her best to disclose the equipment/condition of this vehicle/purchase. However, Auction123 disclaims any warranty as to the accuracy or to the working condition of the vehicle/equipment listed. The purchaser or prospective purchaser should verify with the Seller the accuracy of all the information listed within this ad. Selling a Vehicle? Create Professional Listings Fast and Easy. Click Here!